Amsoil Independent Dealer of Peoria, Illinois. Amsoil Dealer of Peoria, IL. Serving the following areas in and around Peoria: Bloomington, Bushnell, Canton, Chillicothe, Clinton, Farmington, Galesburg, Havana, Lincoln, Lewistown, Macomb, Mason City, Morton, Pekin, Pontiac, and Washington areas in central Illinois. For more information or simply call 800-579-0580. Should you have multiple vehicles or need to order frequently, be sure to print and complete the Preferred Customer or Dealer form. This gives you the benefit of ordering direct at the wholesale price while having hard copies of all the materials and our monthly AMSOIL Magazine to keep you updated on our product innovations and offers. The Peoria area is a fastest growing AMSOIL Markets in all seasons. Please enquire or call to order and pick up in any quantity. For populated areas this region has a low dealer to customer ratio so please consider joining us as demands keep increasing and there are some great dealer opportunities. Additionally if I should happen to not have your selection in stock, shipping is sometimes more convenient as it's usually only a day to the area from the Chicago Distribution Center. There is a high demand for all of our synthetic lubricants here, especially because of our winter performance in central Illinois and also the specific products AMSOIL manufactures for Motorcycle, Diesel, outboard marine and two cycle equipment. We usually have what you need in stock but generally we ship from our distribution center in Chicago so it's about a day if we don't have it here. 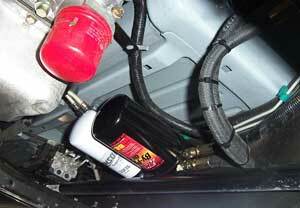 For your gasoline vehicle try our 100% full PAO Synthetics with our AMSOIL Absolute Efficiency Oil filters. These are regulated and guaranteed at 25,000 miles and are rated at 15 micron with 98% efficiency at that particle size. No other filter company displays the full equation. Also contact us for all your transmission gear and hydraulic fluids. For watercraft our Interceptor 2-cycle injector oil is one of the best selling items in the industry. Great for Sea Doo. Clean power valve operation for less cost. 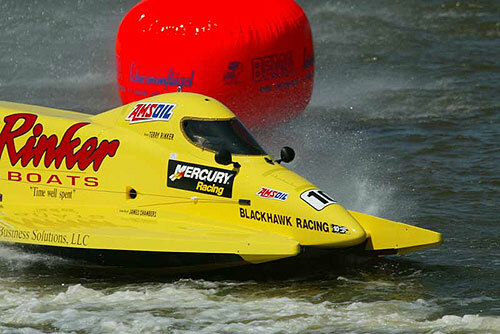 **NEW** AMSOIL Formula 4-Stroke® Marine Synthetic Oil - 10W30 and 10W40 - Great for Peoria waterways! If you need reliability out in the gulf and need to reduce failures, AMSOIL is your best option. Check us out. Local Peoria - Bloomington demand has created a great need for AMSOIL dealers in this area, especially in the outlying areas and in the suburbs. You get excellent support from myself as I am part of one of the most resourceful AMSOIL dealer groups in the country. We can send local and web generated leads your way. The #1 question we get from local customers is, "Where can I find AMSOIL here in Mason City?" or any other city in Illinois.